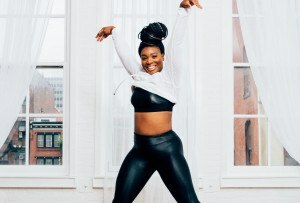 By Adjua Fisher·	 6/9/2015, 11:10 a.m.
Last week we told you guys about a seriously awesome pop-up class by the name of Bey Body Intervals — an hourlong HIIT class taught entirely to Beyoncé tunes — being hosted by Allongée in Old City. And great news, Bey fans: The studio has officially added the class to its weekly lineup. Originally, the class was slated to be an occasional pop-up, but not anymore: Starting next week, the class will be held Mondays at 9:30 a.m. and Wednesdays at 6:15 p.m. Did you jot that down? Good.